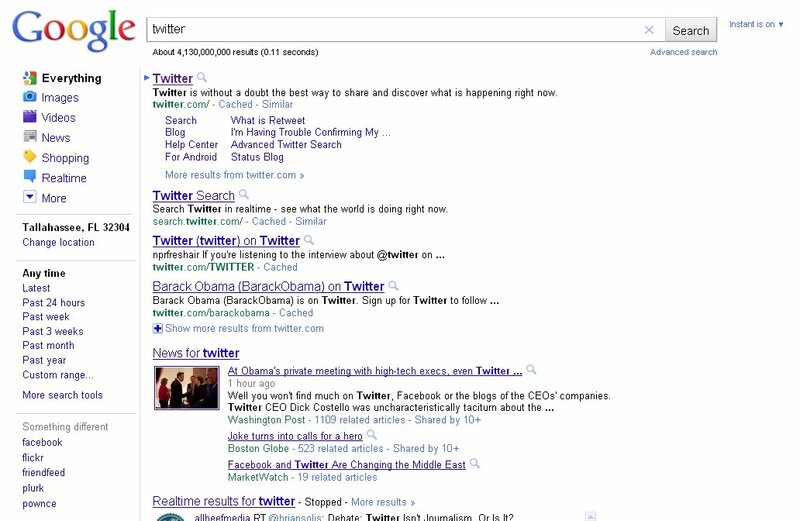 I browse the internet in Google Chrome. I stay signed in my Google account the whole time I'm browsing. So I've noticed a lot of customizations, things that Google has built into its search software to try to help me along to what I'm looking for. 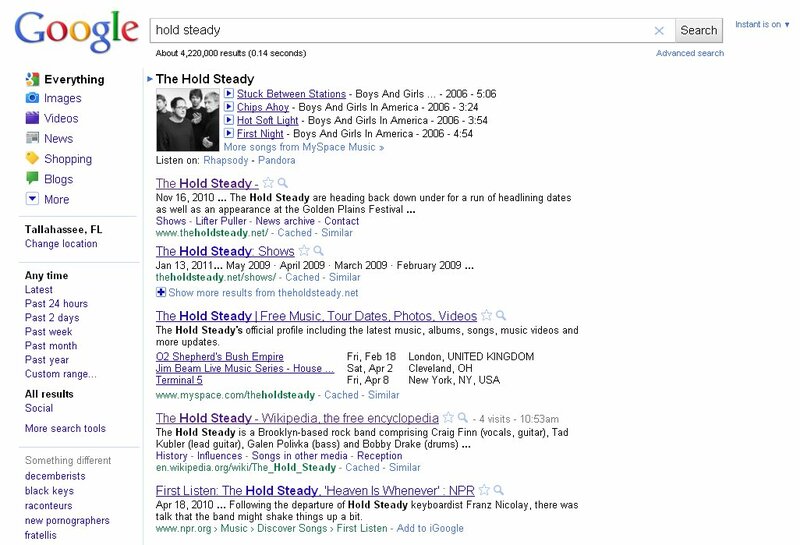 Search 1: "the hold steady"
I also did a back-to-back search in Firefox of "the hold steady" and "twitter" again, and it didn't influence the results the way it did the first time. 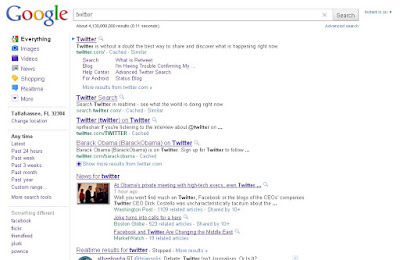 Although the lingering influence in this particular instance is relatively insignificant, I think this method of carrying over information from previous searches can be counter-productive to those who are used to working with Google a lot. I'm sort of a proponent for "pure search" in terms of seeing what everyone else sees when I search for a term. This, of course, doesn't happen for several reasons, one being that Google automatically maps to your geographical location to provide more relevant data, which is nice and convenient about 90% of the time. 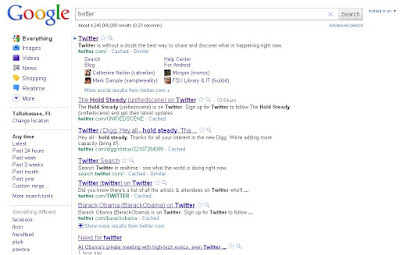 Anyway, the bigger problem here is that Google is trying to make search idiot-proof. 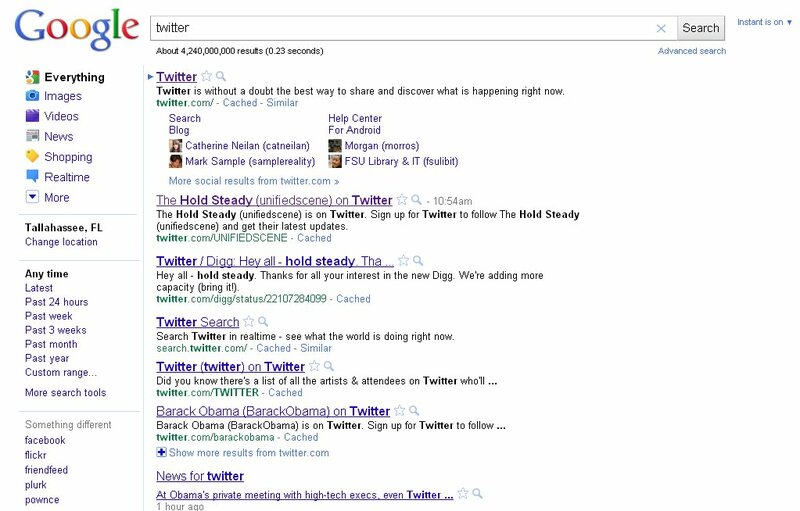 In doing so, their measures make it slightly more difficult for users who have adapted to Google's searching methods. 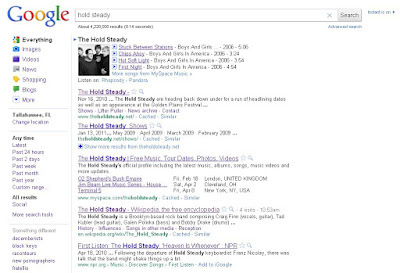 There are a couple of ways to customize your search experience (by turning off instant search, for example), so hopefully Google will not try too hard to fix something that's not broken.